Macular degeneration research involves many aspects of this disease including prevention, treatment, nutrition, and ways to better utilize the vision one does have. Information on macular degeneration clinical trials are available at the National Institutes of Health website. It lists not only studies in the U.S. but internationally as well. There are different phases of studies as well as strict criteria to be eligible to be in a macular degeneration study. Macular degeneration research now includes several retinal implant studies. One of these retinal implants, the size of a child's fingernail, has been named the bionic retina. According to Ra'anan Gefen, Nano Retina Managing Director, "Unlike other retinal implants, the Nano-retina meets the three basic requirements for any mass-market solution: resolution, power supply and implantation simplicity. Nano Retina has addressed these three issues for the first time in one integrative product." A research center that focuses soley on the carotenoids that benefit the eye, lutein, zeaxanthin and meso-zeaxanthin, is proving in clinical trials that the health of the macula pigment does indeed affect one's vision. Known as the Macular Pigment Research Center located in Waterford, Ireland, a staff of scientists devote their attention to understanding the role of nutrition in building the macular pigment. Macular degeneration clinical trials for wet macular degeneration treatment involve many different treatment options. There are studies looking at new combinations of existing treatment - such as anti-VEGF injections and photodynamic therapy. 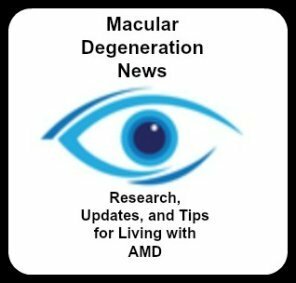 Dry AMD is the most common type of macular degeneration - up to 80-85% of patients have this form of macular degeneration. 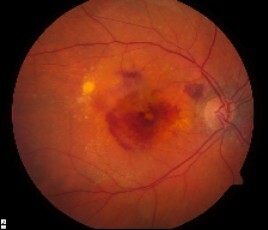 Dry AMD clinical trials are becoming more available as new treatments and earlier interventions are being researched. Therapies are investigating ways to prevent the progression of dry AMD into the more advanced geographic atrophy or from turning into wet AMD. Gene therapy to halt or slow the progression of macular degeneration is in research at several different eye centers. 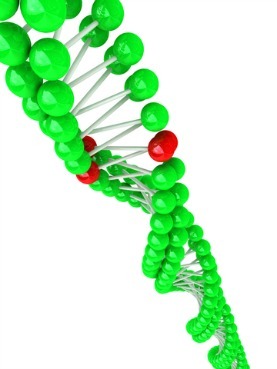 Research using gene therapy to treat neovascular or wet macular degeneration works by delivering a gene that inhibits blood vessel growth that leads to leaking blood vessels under the retina which distorts one's vision leading to several different types of vision changes including the loss of one's central or straight ahead vision. Combining anti-VEGF therapy with anti-PDGF provides synergistic properties in the treatment of wet macular degeneration in Phase II clinical trials. Phase III clinical trials are now recruiting participants across the United States for those over the age of 50 and have not yet received any treatment in the study eye. The controversy surrounding the destruction of an embryo to generate human embryonic stem cells has lead to what some call the new line of stem cells, "ethical embryonic stem cells. " Thompson's research group discovered a method to convert adult human skin cells into cells that closely resemble human embryonic stem cells called induced pluripotent stem cells (iPS). His work can be found in a 2007 issue of Science in an article titled "Induced Pluripotent Stem Cell Lines Derived from Human Somatic Cells". Research for both dry and wet forms of macular degeneration is progressing as ways to intervene earlier in the disease is helping to prevent vision loss and/or restore some central vision loss.